← What are Companion Services? As we grow older, we will begin noticing that things are becoming more difficult to do. We may no longer have the physical capabilities that we once had and we just simply are not able to live on our own safely anymore. So as we age, how can we continue living an independent life in the comfort of our own homes? The answer is simple. 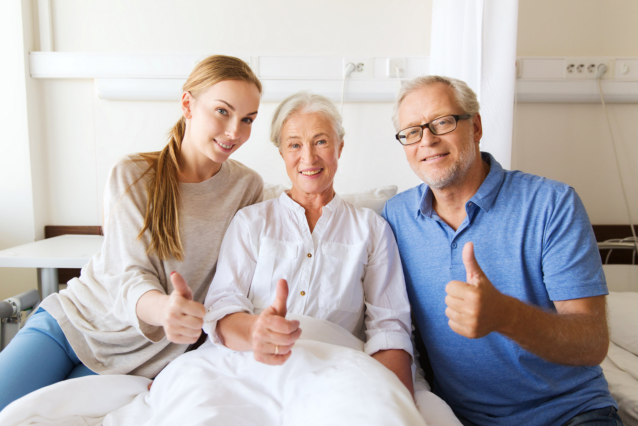 Ontime Home Health Care Staffing Agency LLC offers exceptional Personal Care Services in Cleveland, Ohio that ensures you have the support you need to continue living life the way you want. 24/7 Support: One of the main reasons to consider companionship is for around-the-clock services. Our caregivers can stay with you at home on a 24/7 basis. This is to make sure that you always have access to the care and support that you need to continue living the lifestyle of your choice. Personal Care: This is another reason why companionship for seniors is important. Through these services, we can help you with all of the things you need to do in order to take care of yourself. These things can include personal hygiene, using the bathroom, mobility and transfer support, and even getting dressed. These are the things that we didn’t think twice about when we were younger, but as we age, they become difficult and stressful tasks to do. So having a care professional you can count on is important and convenient. Homemaking: Household chores can be taxing for seniors. Things like cleaning the house, preparing meals, and running errands can be time consuming and exhausting. By having a companion with you, we can handle these tasks so you can focus on what you enjoy instead. Old age does not have to be a challenge, and with our Home Health Care, we can help you live a more convenient and comfortable life. If you want to find out more about our services and what we can do to serve you, please feel free to check out our website at www.ontimehhcsa.com. This entry was posted in Senior Care and tagged Companionship, Home Health Care, Personal Care Services, Seniors. Bookmark the permalink.